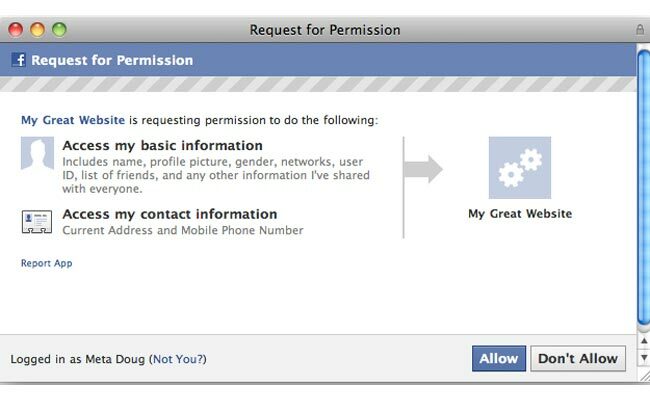 Yesterday we told you that Facebook had decided to share your address and phone number with third party developers, if you clicked on a dialog box and agreed to it. The problem with what Facebook had planned is that the dialog box looked exactly like the one for sharing your basic information with thirds party apps, which could have lead to people sharing information by mistake, but now it looks like Facebook has changed its mind. So basically Facebook has put the third party data sharing on hold, until they can make it more clear to their users what data is being shared with third party developers. This is good news for Facebook users and this will hopefully make sure that people dont actually share their data with third party developers by mistake.